So, there are less of us, and we’re quieter than we once were, which feels to me to be an accurate reflection of the Party generally, a bit loathe to put its head above the parapet for fear of being shot at. I seem to remember Stephen Tall saying something similar about the decline of active bloggers at the BOTY award ceremony in Brighton a couple of years ago. I’m not sure that anyone could disagree on the broad trend. It is easy to think of quite a few well-established bloggers who have either explicitly called it a day or who have drifted into relative inactivity. It is less easy to think of new voices that have emerged to achieve a significant profile or make a substantial impact. Nick Tyrone perhaps falls into that category, but he can hardly be characterised as a new voice emerging out of nowhere. But I wonder about Mark’s interpretation of this trend. I don’t disagree that the Party in some ways feels a bit quiet. I can sort of understand that. It is facing a hard time and a hard task getting a clear message out in the run up to the General Election. But I’m not sure that the same reasoning necessarily applies to bloggers. The argument that we’re loath to put our heads above the parapet implies that Liberal Democrat bloggers are all blogging about libdemmery, or at least politics. Clearly some do. But there are plenty of Lib Dem bloggers in the aggregators, me included, for whom Lib Dem politics has only ever been a part – possibly only a minority – of what they blog about. If we were worried about the flak that we’d receive for blogging on matters Lib Dem, there is nothing to say we can’t keep chewing over other topics. 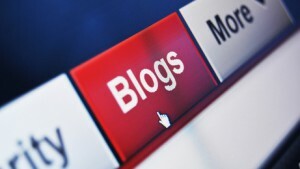 Liberal Democrat bloggers seem to be holding their own in the political blog rankings. Indeed, recently it has felt like more places in the teads top 100 are occupied by Liberal Democrats than has been the case for a while – without even factoring in Nick Barlow’s blog, which for some reason remains riding high in the ‘other’ category rather than in politics. That suggests people are still interacting and engaging with Liberal Democrat bloggers in numbers. It isn’t clear to me that Liberal Democrat blogging is suffering disproportionately from a decline in activity. It might be. But some of the decline is bloggers leaving the Lib Dems, rather than stopping blogging. I don’t think anyone has tried to study it very systematically. It may just be that the format is being superseded. The issue is not bloggers calling it a day – that seems to me to happen regularly across all sorts of blogs – but that new individual bloggers aren’t starting up in similar numbers. That brings us to the issue of time and effort. As all bloggers are only too aware, it takes a lot of time and effort to keep an individual blog going. It feels to me like quite a few bloggers stop simply through pressure of time and changing interests. For example, last week Andrew Sullivan – who has a legitimate claim to having originated the individual political blog and for the last two years has been operating at The Dish on a substantial commercial basis – called it a day after fifteen years. He is doing so in part because the pressure of regular blogging was having a detrimental effect on his health, and after 15 years he fancied doing something different. On a trivial scale in comparison, I know it’s got more difficult for me to summon the time and energy to post regularly, given everything else that’s going on. There has been talk for a while now about the decline of the sort of personal blog that represents the roots of blogging a decade or more ago. There is a move to aggregation and professionalization – there are now more multi-authored or institutional blogs and there are more blogs that present organisational positions rather than individual perspectives. These blogs reduce the individuality of the voice, but they curate content in a way that makes it easier to attract a substantial readership. Mark makes an important point when he notes the rise of Facebook and Twitter as alternative, easier means of publicly commenting. It seems likely that the onward march of social media is part of the explanation for there being fewer new bloggers. You could add Medium to that mix – it allows people to write long form comment as and when they feel like it, rather than needing to keep up a regular flow of posts. But Mark is also right that blogging offers possibilities beyond the enforced brevity of Twitter or the constraints of the Facebook format. There are, of course, bloggers whose characteristic posts are brief enough to fit these other formats. But blogging also offers more space to clarify an argument or, indeed, to develop an extended argument over a series of posts. I think there is an interesting broader cultural question as to whether long form argument is in decline in this impatient digital age. Do most people just want brief gobbets of easily digestible information? Is the willingness to expend intellectual effort to understand more complex arguments full of light and shade less common than it once was? Then again, blogging itself continues to evolve. A post like this one – a response to something posted by another blogger – would undoubtedly have been much more common four, five, six years ago. Now it feels a bit old school. Many bloggers are still commenting on the news, current affairs, opinion polls and the like, but there is less of a sense that being a blogger is being part of a community debating issues among themselves. * To be clear, that is in no way a criticism of Richard. I’m sure he’s got plenty else on which has meant that blogging got squeezed out. It is more a point about sustaining the pool of bloggers: who picks up the baton and continues to make the case. Nicely written, and I’m pleased to see that we share some of our views. I agree that those who are on the Aggregator aren’t necessarily doing nothing but Libdemmery – I always think that the best bloggers give us a window into their hinterland, as well as being interesting on Lib Dem related issues, and that’s a point which deserves further thought. But I do think that putting yourself on a political aggregator does mean that you will be doing some Libdemmery, otherwise, what is the point in seeking a political market, for want of a better phrase? I’ll be interested to see what the blogosphere makes of the upcoming General Election full stop. Will bloggers be part of the political arsenal, or will parties just use social media to bypass them? Does the plethora of social media, and the tendency towards soundbites mean that political blogging will have to adapt? Speaking as the official ‘other’, I wonder if part of the decline is because some of the things that people were doing with blogs has switched to social media? There don’t seem to be as many of the ALDC-type blogs as they were (no idea what the figures are, so I could be totally wrong) because it’s a lot easier to do that sort of thing through a Facebook page than it is through a traditional blog. I do think you’re right about the lack of interaction between blogs now – I don’t see the level of ‘in this post I shall be responding to X’s post, which was a response to Y’s…’ that I used to. I think a lot of that debate and discussion has moved over to social media and is now contained within Twitter, Facebook, Tumblr etc rather than being spread out across blogs. Mark, I agree that the more interesting bloggers don’t just restrict themselves to politics but also address other topics. But personally I find striking a sensible balance between topics isn’t always easy. I try not to write more than a couple of posts in a row on the same sort of topic, but if I’m not paying attention I end up with a whole string of housing policy posts, because those come most easily to mind. It will certainly be interesting to see whether blogging plays any meaningful role in the debates in the run up to the election. I suspect Twitter will be more influential. Nick, I guess it may be a case of us witnessing the social media ecosystem evolving as the strengths and weaknesses of different media become better understood. It seems to me Facebook works better for noticeboard type posts that don’t require or invite more than brief interaction/comment. So it might well be sufficient for many purposes, as long as your page doesn’t get killed by the Facebook algorithm (he says bitterly :-)). Blogging may survive as a niche medium for more extended commentary (that offers the advantage of more direct RSS/subscription options). That wouldn’t be too bad a fate! Pingback: Lib Dem blogging: growing or shrinking?